Soulac-sur-Mer is a long-established beach resort town at the northernmost part of the Medoc peninsula north of Bordeaux. 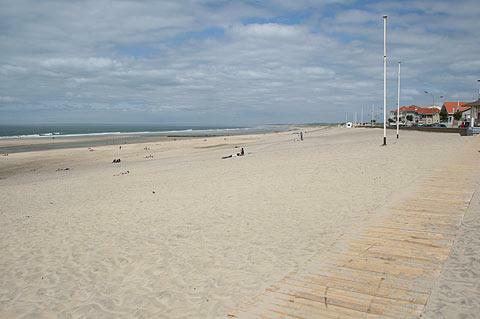 It is the most northern of the extensive string of beaches that run along much of the Aquitaine coast and all the way south to the border with Spain, the so-called Cote d'Argent (see Atlantic beaches). 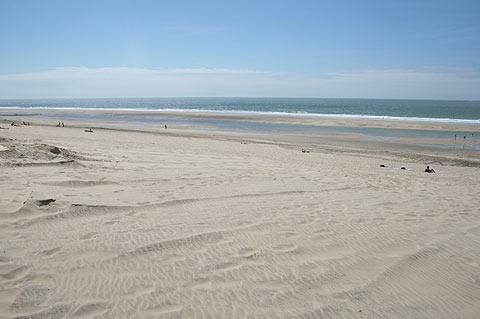 It is not surprisingly the sea and related activities that are the big attraction for visitors here and there are no less than four sandy beaches to enjoy in Soulac, extending over several kilometres and backed by the large sand dunes that are typical of the Landes region. The beaches are very popular with surfers. Venture away from the extensive beaches and there is an unashamed focus on tourism here in Soulac, with numerous bars, clubs, restaurants and shops for the benefit of visitors to the town. 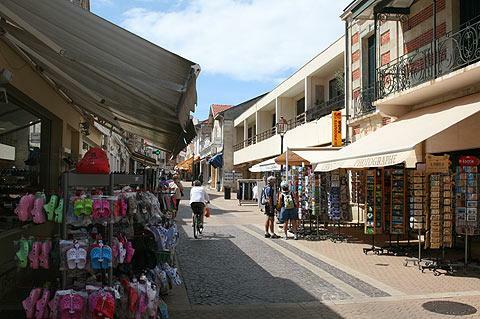 Many of these are based along the principal street through Soulac-sur-Mer, the 'Rue de la Plage'. You will also see lots of small 19th century villas in the town built in the years after the train line first arrived here in 1874, bringing vistors from Bordeaux. It is interesting to compare the style of villas in Soulac-sur-Mer with those at Arcachon further south, where the villas built at the same time are much grander. Note: many of the smaller resorts along the Cote d'Argent are newer and lack the sense of history that you get in the longer standing resorts such as Soulac, Arcachon and Lacanau-Ocean. Away from the beach there are a few notable monuments to discover in the town. 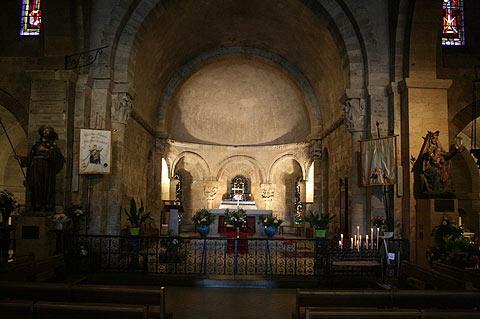 The pilgrim destination at the Notre Dame Basilica de la Fin des Terres was originally built in the 12th century before being largely submerged by the encroaching sand dunes. As well as being an important stop for pilgrims crossing France on foot, the basilica was also one of the principal boat stops for pilgrims travelling to Santiago di Compostela by boat from England. 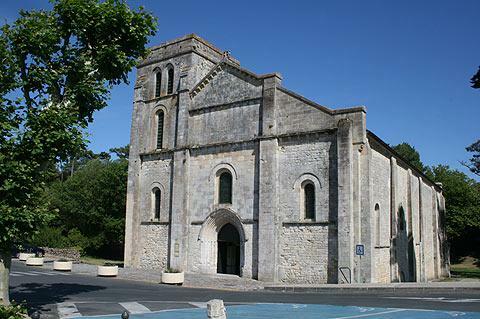 The basilica was rescued from the sand in the 17th century and is an attractive example of roman style architecture as well as the most important historic monument in Soulac-sur-Mer. Situated just passed the top end of the Rue de la Plage it is important enough to now be listed as a UNESCO world heritage site (as one of many Santiago di Compostela pilgrim halts). In the Soulac-sur-Mer Museum of Art and Archaeology you can see numerous exhibits tracing and explaining the long history of the region. In the countryside around the town there are numerous cycle routes (these are suitable for families because there are no significant hills here) and footpaths to better discover Soulac and the forests and landscapes of the Medoc peninsula. These are a lovely way to discover the area with an attractive mix of coastal and inland scenery to enjoy. 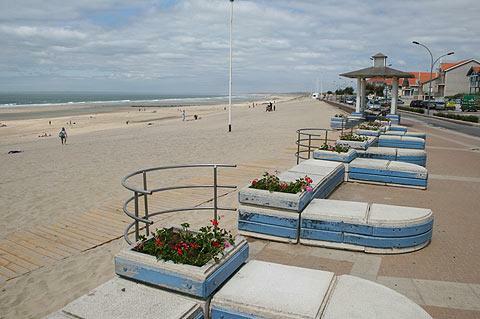 Soulac is also the start of a 130 kilometre cycle route that leads all the way south to Cap Ferret. Away from the beaches, many visitors also enjoy a wine-tasting tour of the well known wine chateaux of the Medoc region to the south-east of here. 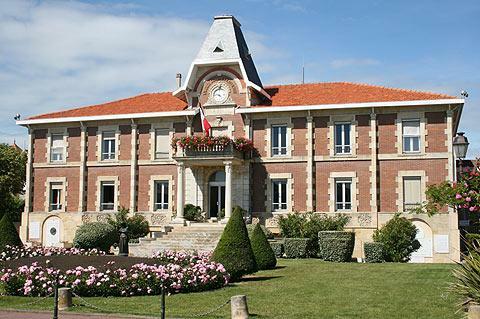 Visit Soulac-sur-Mer tourist office on your arrival for more details of a suggested route and up to date details of the wine chateaux opening hours.